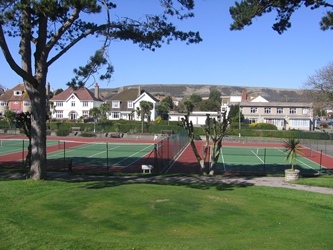 Swanage Town Council’s parks and open spaces offer many opportunities for activities, with a number of facilities for hire. To book an activity at Beach Gardens, please telephone Beach Gardens on 01929 424339, or the Tourist Information Centre on 01929 422885. Thank you. To enquire about hiring a football pitch, please contact the Town Hall on 01929 423636. Swanage is a popular location for rock climbers, with pitches of most grades on the cliffs west of Anvil Point (the Lighthouse). Swanage Cricket Club was formed in the 1920’s and has gone from strength to strength, today the club has several teams that play on Saturdays and Sundays through the cricket season. To find out more about the club, and forthcoming matches, please visit their website (above). There is also a croquet club that utilises the facilities at Swanage cricket ground. For contact details please visit www.croquet.org.uk/clubs and click on South West area/Swanage Croquet Club. Indoor heated swimming pools can be found at two of the town’s holiday parks, which are both open for public swimming. Swanage Bay View Holiday Park which can be found in Panorama Road, and Ulwell Cottage Caravan Park, off Ulwell Road. In May 1935 a historic meeting took place in a room above the fruit and vegetable shop of Mr James Day in Institute Road. From this beginning Swanage Sailing Club was launched. The Club's aim then, as is now, was to encourage the art of sailing for pleasure and competition. Swanage Sea Rowing Club was formed in November 2001. Whilst encouraging all forms of rowing at sea, the club particularly wishes to be involved in Cornish Pilot Gig racing. For more information please visit their website (above).